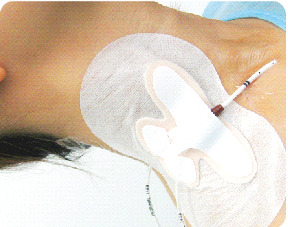 For the minimization of catheter movements from central venous catheters (CVC/PICC). Specially designed wings and non-winged application to secure catheter and hubs from all sides that is ideal for central venous catheters. The unique wrapped around design provides securement and maintains optimal catheter insertion angels and provides protection for the skin from hard plastic parts. Ideal for any CVC/PICC securement as it provides an adhesive area that will stick to a wide range of hubs while delivering superior protection from accidental line pulls. Specially designed butterfly-shaped broad adhesive helps to maintain catheters are safe and comfortable.